What is the role of The Counseling Center? Could you tell me more about your counseling resources? Is there a separate fee for using them? Are there limits on the number of counseling sessions per student? Would you call students to help them to make an appointment at The Counseling Center? Could I set up an appointment for the student? How does the student set up psychological counseling services? Can the student get get their medication be monitored, and would there be a separate cost for that? Would the counselor keep me updated about how treatment is going? Under what circumstances would I be contacted? Who does the student call if there is a mental health emergency after hours? When would the student be referred to a health provider or hospital outside the college campus? What local facilities does The Counseling Center refer students to? What kinds of mental health services outside the college community will the college insurance cover? Do you train the faculty and staff, and residential staff to identify and properly refer students who are struggling with mental health issues? What other ways can we learn about mental health on campus? Q1. What is the role of The Counseling Center? Our role at The Counseling Center is to provide mental health related services to assist students in overcoming challenges inherent when adjusting to a new environment. Counselors work with students to build on their emotional and psychological needs that interfere with personal, social, and academic functioning while also emphasizing prevention, development, adjustment, and wellness. The Counseling Center offers free and confidential short-term counseling to registered students. Q2. Could you tell me more about your counseling resources? Is there a separate fee for using them? The student pays a health service fee each semester which covers mental health services. We provide a range of mental health services. For instance, individual counseling, group counseling, crisis intervention, outreach education for students, training and consultation for faculty and staff regard psychological issues faced by students. We provide consultation to parents and others who are concerned about a student’s psychological and behavioral problems. For further details, please review our scope of practice. Q3. Are there limits on the number of counseling sessions per student? In general, we offer five individual counseling sessions per semester and unlimited group therapy sessions. For some students, this is adequate, and for others, we make considerations to this limit based on the presenting problems. Further, if we deem that the mental health needs surpasses what we can offer through The Counseling Center, we make appropriate referrals in the community. Therefore, it is the responsibility of the student to follow up on the treatment recommendations or community referrals. Q4. Would you call students to help them to make an appointment at The Counseling Center? We believe that seeking counseling is the student’s personal choice and we want to empower them to take steps toward their own personal healing. However, if the center does receive information that a student is experiencing psychological problems that may result in harming self or others, a wellness check will be initiated, and appropriate University Police (716-878-6333) or emergency medical personnel will be contacted. Q5. Could I set up an appointment for my son or daughter? No. Obtaining counseling services is your son or daughters’ decision. If you feel that your son or daughter may benefit from counseling, talk to them. Listen, encourage, and explain your concerns, thoughts, and feelings. Your child is now an adult who is beginning to make their own decisions and only they can decide if counseling is a service they wish to pursue. Q6. How does my son/daughter set up psychological counseling services? If your son or daughter already has a treatment provider (i.e. seeing a psychologist and/or psychiatrist) back home, we recommend that their needs for mental health services at college be discussed with their current treatment provider in keeping with the knowledge that the services at The Counseling Center are short-term and brief in nature. If your son or daughter requires more ongoing, specialized, intensive, or extensive mental health services than available on campus, they can choose to arrange regular visits home to keep appointments with their current treatment provider. However, if distance is a barrier, we suggest you or your treatment provider contact The Counseling Center prior to beginning college and facilitate an off-campus referral to a provider in the community. That said, we may provide support coordination services to ensure your student’s academic success while they are engaged in mental health treatment in the community. If your son or daughter needs to seek mental health services for the first time, you could encourage them to call and schedule an initial assessment appointment with The Counseling Center. This will allow your son or daughter to connect with one of our staff members and obtain appropriate releases so we can coordinate care with other departments and/or provide outside referrals. Q7. Can my son or daughter get their medication be monitored, and would there be a separate cost for that? We highly recommend that your son or daughter be monitored by a psychiatrist or their treatment provider from the students’ home town. We do have limited psychiatric services that are available to students who are seeing a staff member for ongoing individual counseling services at The Counseling Center. However, if they are complicated concerns that require more intensive, extensive, and long term treatment, we usually refer students to treatment providers in the community. Q8. Would the counselor keep me updated about how treatment is going? Under what circumstances would I be contacted? All information at the Counseling Center is confidential, including whether or not your son or daughter is a client. This is in keeping with federal and state laws and the ethical standards of the American Psychological Association. This means we cannot provide any information about your son or daughter without a written release giving specific permission to do so. Therefore, if there is no release in place, we will not reveal the identity of the student who seek our services, we will not confirm or deny a students’ participation in counseling, and will not provide any details about what is discussed in counseling. In some circumstances to facilitate optimal quality treatment for the student, we advocate that students communicate directly with their parents about their treatment. Therefore, on some occasions we may ask that the student arrange for his or her parents to attend a counseling session or arrange for a phone conference. The staff wants to create a collaborative relationship with parents, but we do not initiate calls to parents unless their son or daughter requests the call be made or we determine, due to immediate safety risk, it is in the best interest for the student to call the parent. Q9. Who does my son or daughter call if there is a mental health emergency after hours? If your son or daughter is experiencing a mental health emergency and The Counseling Center is closed, they can contact Crisis Services at 716-834-3131 or 1-800-273-TALK (8255) for 24 hour counselors or got go to the nearest emergency room. If your son or daughter resides on campus, they could contact Resident Life staff on duty or University Police (716-878-6333) for assistance. University Police are available 24 hours. Q10. When would my son or daughter be referred to a health provider or hospital outside the college campus? Based on our professional assessment, if we know that the student could be in danger of hurting themselves or others, they would be transported to the hospital for an emergency psychiatric evaluation. We would also provide recommendations and referrals to outpatient mental health provided to meet the student’s ongoing mental health concerns that were not sufficiently able to be addressed with expertise of the staff or due to limited resources available on campus. Q11. What local facilities does The Counseling Center refer students to? For immediate safety concerns, we would transport the student to Erie County Medical Center where most student go. However, for follow up care, community resources/referrals will depend on coverage provided by parents’ mental health insurance or the student health insurance. Q12. What kinds of mental health services outside the college community will the college insurance cover? Please review mental health services covered by student health insurance, as well as be sure to check whether your own provider covers mental health services outside your county. Sometimes, you son or daughter may need to come home to seek a treatment provider. Q13. Do you train the faculty and staff, and residential staff to identify and properly refer students who are struggling with mental health issues? We provide training and workshops on various mental health topics to faculty and staff periodically. There is also abundant information available on the website. Resident Life staff are trained in QPR and taught how to connect students to counseling services and about the 24 hour hotlines services. Q14. What other ways can we learn about mental health on campus? Remind your son or daughter to take Buffalo State Cares , an online training about depression and suicide awareness. Buffalo State Cares was created through a SAMHSA grant. An interactive training was also developed for family members that you will find in our suggested videos and websites links. Q1. What does The Counseling Center do if they know that our son or daughter have serious academic problems? If your son or daughter’s mental health concerns are impacting their academic performance or they are having difficulty keeping up with their course work, The Counseling Center provide academic advocacy support that serves as a liaison with the academic departments on campus (e.g. Dean’s office, academic standards, advisors, and faculty members). Q2. I tried to encourage my son or daughter to make an appointment at The Counseling Center, but they do not want to. How do I encourage them that they need help? Share your thoughts and feelings in a non-judgmental, sensitive, and compassionate way. Listen, instill hope, and direct them to a number of resources available on campus (i.e. one being The Counseling Center) to help them with their problems. If after providing support, your son or daughter decides that they do not need professional counseling services, you can suggest other resources such as Crisis Services, talking to the Residential life staff, faculty advisors, friends or trusted adults. Q3. What happened when my son or daughter is hospitalized during a mental health emergency? If your son or daughter needs hospitalization during working hours, The Counseling Center counselor may contact you to help assist in helping with the hospitalization (i.e. if you can make it or are closer to the college). You might have to come and pick up your son or daughter and take them to the local hospital. If you decide to take your son or daughter to a hospital near home, we will wait for you and will provide support and supervision until you arrive. If you are unable to get to The Counseling Center during business hours, we will send the student via ambulance to the local emergency care facility. If you decide to hospitalize your son and daughter (with or without assistance from the Counseling Center), you may have to contact The Deans of Students and inform him, so that the dean can inform faculty that your son or daughter will be absent and will follow up with them after care. Q4. If my son or daughter needs to withdraw from classes because their mental health is affecting their academic performance, how will The Counseling Center help? The Counseling Center staff can coordinate and refer them to our in house case manager who could help with understanding the students’ current situation and provide recommendations about how to go about the withdrawal process. Q5. My son or daughter is diagnosed or possibly struggling with Attention Deficit Hyperactivity Disorder (ADHD) and needs to see the psychiatrist for medication. What is the procedure to request medication management? If your son or daughter is diagnosed with ADHD and currently on medication, they will have to work out a plan of care and follow up with their existing treatment provider regarding maintenance of medication while they are away at college. The Counseling Center does not provide medication management for students with ADHD. If our psychiatrist evaluates and suspects the student has ADHD, they will make appropriate referrals to an off campus psychiatrist (i.e. based on insurance coverage) for maintenance medication.  The Counseling Center strongly encourages student with ADHD to visit Disability Services at SUNY Buffalo State such that, academic accommodation, when needed, can be set up early in the semester. The Disability Service Office may require additional documentation regarding diagnosis of ADD or ADHD for the purpose of arranging academic accommodations. Q6. My son or daughter experienced a traumatic event (e.g. assault, mugging, etc.)? In such a situation, what do I need to do as a parent? In such situation your son or daughter would require you to remain calm and supportive. Avoid criticizing or asking questions. Listen for and try to validate some of the feelings expressed such as fear, anxiety, anger, etc. Encourage your son or daughter to seek support through the Counseling Center and other on-campus and off-campus resources. For instance, in case of assault, encourage your son or daughter to seek out police assistance and report the assault. If your son or daughter is unwilling to report it to the police, the report can be made anonymously. Additionally, contact The Student Health Center for information regarding medical attention, if necessary, and seek out police assistance if you need to report. Q7. Something is not right, I think my son or daughter is experiencing some mental health problem. What should I do? In order to facilitate early identification of difficulties, listed below are some possible warning signs which may suggest that a student is in need of assistance. If you see any of the following signs, encourage your student to seek help immediately at The Counseling Center.